Spain’s ruling Popular Party (PP) has presented a reform proposal to Congress that could result in the banning of memes, social network users’ way of gaining comic revenge on the politicians that rule our lives. The reform wishes to curb the “spreading of images that infringe the honour of a person”, making special mention of the fact that Spain’s 1982 law covering this area is outdated due to the subsequent appearance of the internet. But campaigners for free speech see the proposal as an attack against the sometimes irreverent humour and political expression in memes, many of which have poked fun at the PP’s leader and conservative prime minister, Mariano Rajoy. “We are worried about this reform because internet does not require special laws; the same rights and duties should exist online as offline,” Spain’s Platform for the Defence of Freedom of Information said. The PDLI’s legal director, Carlos Sánchez Almeida, said that the reform appeared designed to “censor memes”. Sources from the PP haves said that the proposal is merely an idea at this stage, and deny any desire to clamp down on memes that are not “insulting, involve death threats or accuse a person of committing a crime”. The proposal comes a year after the introduction of the controversial citizens’ safety law, popularly known as the “gag law”, which limits people’s right to demonstrate and has seen individuals fined for criticising Spanish authorities on social networks. The PP used its once-comfortable parliamentary majority to steamroller through the gag law, something it could not do now after elections last December and in June failed to produce a clear result. 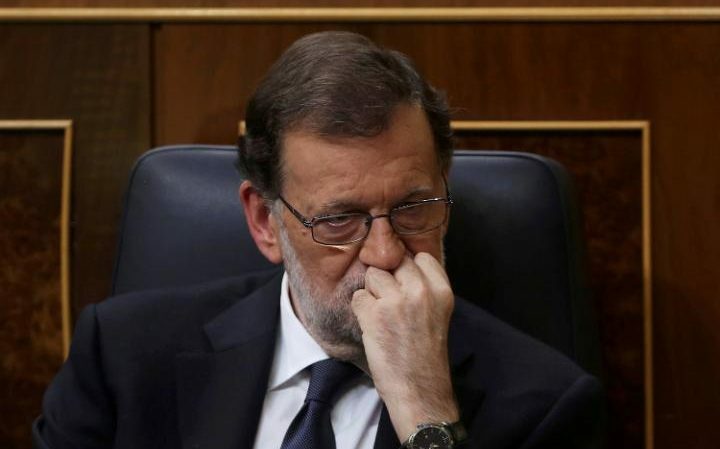 Mr Rajoy was finally given the confidence of Congress to form a new government last month after the main opposition Socialist party abstained to allow the PP to rule, albeit in a minority. Recently, a Madrid regional MP was caught making a meme of on his laptop leader during a debate. Socialist Juan José Moreno was photographed converting PP regional premier Cristina Cifuentes into Dirty Harry, “a joke” for which he later apologised.So far the only impact of the reform proposal is to have sparked a fresh wave of memes aimed at Mr Rajoy and the PP government, with dozens of social network users posting new gags accompanied by the hashtag #SinMemesNoHayDemocracia – no democracy without memes.